The Rothesay and District Pipe Band is to receive �3,500 from Argyll and Bute Council's third sector grants fund, towards the cost of providing taster sessions in the island's schools, along with after-school and evening lessons. Financial support of more than £16,000 to six Bute groups was approved by local councillors this week. 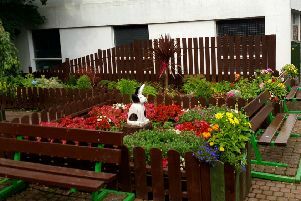 * £2,850 to VisitBute to help design a programme of entertainment in Rothesay for the summer season, with a particular focus on the new performance area in Montague Street. In addition, a £520 underwrite was also approved to support the cost of the Bute Agricultural Society’s annual show in Rothesay. A total of £29,000 is to be given to community groups across Bute and Cowal under the scheme, with £16,170 (including the BAS underwrite) going to the six Bute projects and the remaining £12,830 going to nine initiatives in the Dunoon and Cowal area.